As part of August Craft Month this year I am exhibiting a large brooch as part of the making it: 10 Exhibition. A lovely collection of work by participants of the programme are on display until 23rd September 2015. 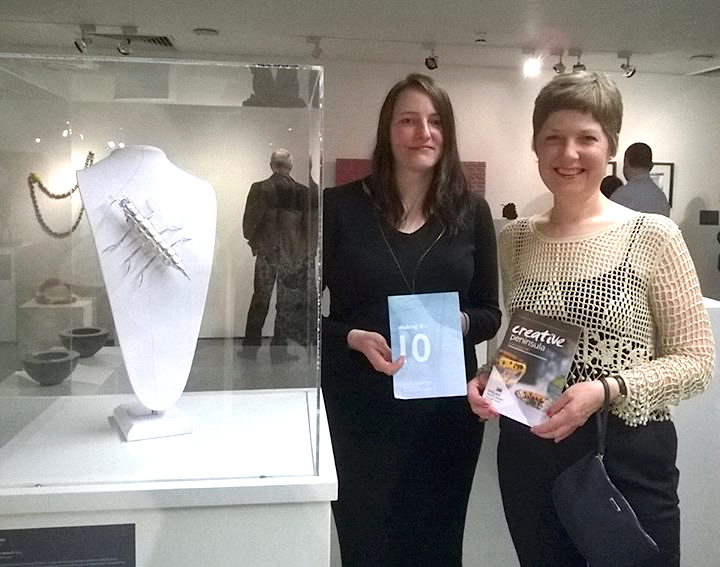 Curated by Shan McAnena, this exhibition celebrates 10 years of Craft NI’s making it programme. Exhibitors include: Rachel O’Neill, Rachel McKnight, John McKeag, Eddie Doherty, Michael Rice, Andrea Hayes, Adam Frew, Heather Wilson, Ronan Lowery Design Onion, Derek Wilson, Lotus de Wit, Jude Cassidy, Catherine Keenan, Michelle Stephens, Katie Brown, Eamonn Higgins, Diane Lyness, Alison Lowry, Rebecca Killen, Aine McKenna, Lauren Scott, Julie Scott, Kirsty Martin, Shauna McGowan, René Mullin. Next Post HOME – A travelling jewellery exhibition from Finland to Ireland.